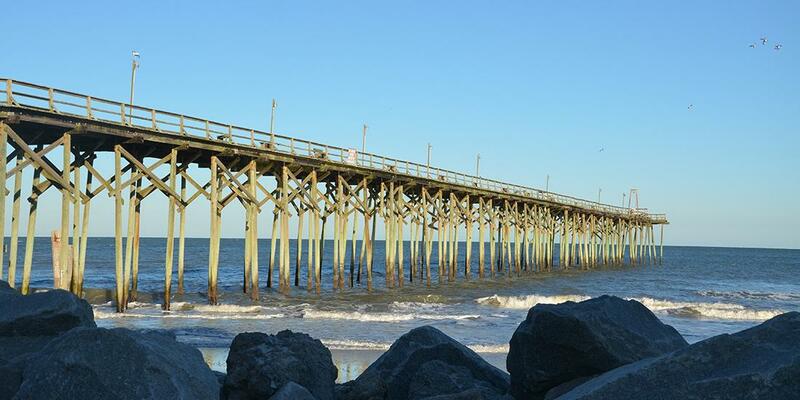 What would you recommend to anglers fishing in Carolina Beach, North Carolina? on the shore fish at day break when the tide is coming from low to high about a hour into it or charter a boat going to the frying pan tower about 42 miles out or the pier is good at sunrise or sunset. use fress bate the fresser the beter. Some lightweight fishing gloves would be useful, as you will grab the lines with your bare hands to pull the fish in for the last few yards. Do that 40 times like we did, and my soft hands got pretty sore. Plus reeling them in. A small towel for sweat-wiping! For first time clients on private fishing charters, I'd recommend a 6-8 hour trip. Not only will you be able to catch Spanish Mackerel (smallest fish), but you'll have a chance to target a fish that are a little bigger. It makes the trip really fun and is definitely worth it!! We LOVED catching King Mackerel and Barracuda. It was awesome! Bring plenty of water to drink, as it gets really hot in NC in June. Expect to do a lot of trolling and be ready for bursts of crazy action! It’s not a real long boat ride since there’s a lot of good fishing about 5 miles offshore. The captain and crew knew what they were doing and where the fish were hanging out! I know other fishing waters but not these, so going with them was a blessing! Book a trip with Fish Witch, they won't only take you fishing, they teach you and let you do the fishing. The experience is all up to the captain. Find a charter that will meet your expectations. Read the reviews and book early. Then go out and enjoy yourself! To realise June is not peak season for some species of fish but you can catch fish. Book a charter and let the pros put you on some fish and enjoy the experience. Book a half-day trip. Go with an experienced guide. Be prepared for some slow days but lots of excellent days in these very productive waters. Come with plenty to drink, sunscreen and a snack. Must have patience and don't expect the catch a lot, then when you do you will be ecstatic. Pier fishing has been disappointing for the past few years (for blues and Spanish). We’ve had much greater success with chartering a boat and fishing a couple miles off shore. Make sure to bring your sun screen and stock up with beer the night before. NC does not allow you to purchase beer until 7 AM..
A shorter trip, 4-6 hours- especially if you have kids! We had an awesome time. I would recommend a four-hour trip and fishing on the Cape Fear River or just offshore. Whatever you’re comfortable with as far as length of the trip and budget. Fishing is always fun!! Summer fishing limits species because of high water temps. Still plenty to catch though!